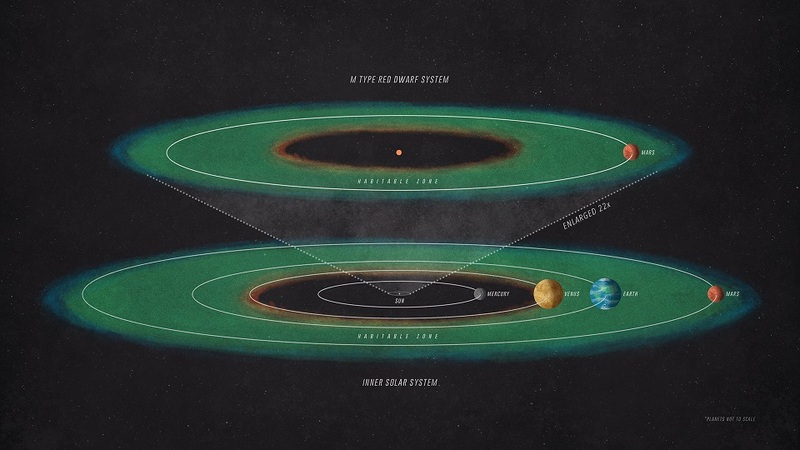 Altogether, the estimates suggest that orbiting at the edge of the habitable zone of a quiet M-class star, instead of our Sun, could shorten the habitable period for the planet by a factor of about 5 to 20. For an M-star whose activity is amped up like that of a Tasmanian devil, the habitable period could be cut by a factor of about 1,000—reducing it to a mere blink of an eye in geological terms. The solar storms alone could zap the planet with radiation bursts thousands of times more intense than the normal activity from our Sun. However, Brain and his colleagues have considered a particularly challenging situation for habitability by placing Mars around an M-class star. A different planet might have some mitigating factors—for example, active geological processes that replenish the atmosphere to a degree, a magnetic field to shield the atmosphere from stripping by the stellar wind, or a larger size that gives more gravity to hold on to the atmosphere. 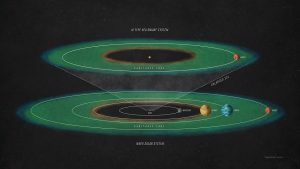 “Habitability is one of the biggest topics in astronomy, and these estimates demonstrate one way to leverage what we know about Mars and the Sun to help determine the factors that control whether planets in other systems might be suitable for life,” said Bruce Jakosky, MAVEN’s principal investigator and a professor of geological sciences at CU Boulder. LASP provided two science instruments and leads science operations, as well as education and public outreach, for the MAVEN mission. NASA’s Goddard Space Flight Center in Greenbelt, Maryland, manages the MAVEN project and provided two science instruments for the mission.